What will Google's Chrome OS be like? So Google has launched a major salvo in its ongoing war against Microsoft. But what will the new Chrome Operating System look like? The initial details suggest that the structure of the operating system will be Google Chrome (the browser) running "within a new windowing system on top of a Linux kernel." That's the words of the Google blog, which also announced the new OS will work on both x86 and, interestingly, ARM processors, too. That last point is an interesting one, as it gives netbook manufacturers the option of a different processor architecture as well as raising further questions about Android - could the Chrome OS run on smartphones? Surely the answer to the latter point is that it won't, officially at least. Indeed, the whole experience of Chrome OS is designed to take place online using Google Gears-like online/offline web app technology. "The user interface is minimal to stay out of your way, and most of the user experience takes place on the web," explains Google's Sundar Pichai who was also keen to talk about security, often a sticking point. "And as we did for the Google Chrome browser, we are going back to the basics and completely redesigning the underlying security architecture of the OS so that users don't have to deal with viruses, malware and security updates. It should just work." You might think it would also raise challenges for software developers, who will have to recode for a new OS. And yes, in the traditional model of software, this would have been an interesting challenge for Google. Software developers would traditionally only develop for something that will make them money. But Google says that new applications can be written using standard web technologies - and this ease of adaptation is bad news for Microsoft. Existing web apps will already work, while newly developed apps will equally be able to be used in standards compliant browsers on Windows, Mac and Linux machines. Google may have a problem challenging consumer expectations of what an operating system should be like - most people expect software to work in the traditional way. In other words, they expect it to be offline, rather than apps that work on the web and consider "the web is the platform". Chrome OS will challenge this. However, it is clear that Google wants Chrome OS to be driven by speed and simplicity. "We hear a lot from our users and their message is clear - computers need to get better. People want to get to their email instantly, without wasting time waiting for their computers to boot and browsers to start up, they want their computers to always run as fast as when they first bought them," explains Pichai. And Pichai might as well have been specific in saying that Chrome OS can easily be location unspecific, sharing documents, apps and user profiles over the web. "[Users] want their data to be accessible to them wherever they are and not have to worry about losing their computer or forgetting to back up files." "Even more importantly," continues Pichai, "they don't want to spend hours configuring their computers to work with every new piece of hardware, or have to worry about constant software updates. And any time our users have a better computing experience, Google benefits as well by having happier users who are more likely to spend time on the internet." 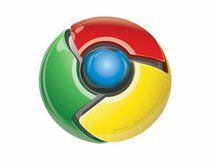 Google says it will need a lot of help from the open source community to accomplish the vision of the Chrome OS. It will be releasing the code later in 2009 so it'll be interesting to see it in action later this year, even if it won't be available commercially on networks until late 2010.